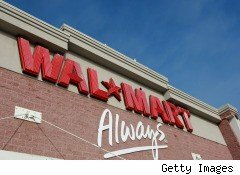 Here's a list of every CEO in Wal-Mart's (WMT) history -- and where they went to college. The company's new CEO of U.S. operations, William Simon, continues that trend of public college grads in positions of power at what is arguably the most powerful company in the world: Simon is a graduate of the University of Connecticut. Don't think that your children need to go to big name schools -- or, more important, that you or they need to take on $200,000 in debt -- in order for them to have wildly successful careers. People graduate from all kinds of schools and get all kinds of jobs, and very few of the people doing the hiring care where anyone went to college. What will determine your offspring's success will be his abilities, work ethic, and people skills -- and whether he develops those will be determined by factors much more important than the name at the top of a diploma. Warren Buffett once said, "I don't care where someone went to school, and that never caused me to hire anyone or buy a business." It's possible that admissions officers, guidance counselors, and braggy neighbors at dinner parties know something Buffett (himself an alumnus of University of Nebraska-Lincoln) and the board of directors of the most successful retailer in the history of the world don't. But do you really want to bet $30,000 or more a year in student loans on it?